By now you’ve likely read the Q1’12 financial report about how Harley-Davidson Inc. blew away the key financial metrics for the quarter. You know – Financial Reports – the documents and records pulled together by the motor company to track and review how much money the business is making (or not) with the purpose to update the lenders and shareholders. These reports are not very friendly or helpful explanations. More often they require an accounting degree because of the use of financial derivatives, contracts and instruments. At any rate, not only did H-D report strong gains in earnings for the first quarter of 2012, but motorcycle and related products revenue for the quarter jumped to $1.27 billion, compared with $1.06 billion for the year-ago period. Consolidated revenue for the quarter, which includes revenue from H-D’s financial services unit, rose to $1.43 billion for the quarter, compared with $1.22 billion in the year-ago quarter. Most important was the fact that retail sales of new motorcycles grew 20.3 percent worldwide in the quarter compared with the prior-year period and it was led by a strong 25.5 percent increase in the U.S.
Is Harley-Davidson becoming cool to work for again? It’s a big place and I’m sure some would say yes its cool. However, what they’ve been through the last couple years has been painful and the process of getting rid of a lot of old bad habits has some maybe thinking no. The Harley-Davidson chairman, president and CEO, Keith Wandell’s willingness to take on the risks took a lot of courage and it now seems to be paying off. In other words, it takes 10,000 hours to become world class. This is a key point in Malcolm Gladwell’s book called “Outliers” which has popularized the theory of 10,000 hours to excellence. Clearly Mr. Wandell has put in his 10,000 hours, but that doesn’t mean anyone will notice. Many will just shrug their shoulders at his accomplishments, or they might not even care. I’ve taken notice and wonder if Harley-Davidson is ahead of its time or is the outlook less optimistic because they’re very good at setting targets that they are confident of being able to hit? I would suggest that their success this quarter has been largely dependent on “baggers” and the discretionary spending situation improving versus bold new designs. Meaning the whole motorcycle industry is running on conventional wisdom. People keep doing it the way everybody else is doing it, not expecting a different result so much as being desirous of converting people over to their brand or getting the few remaining conventional buyers left in the business. You might disagree, but from my vantage Harley-Davidson hasn’t busted out a new “hit” (model) with worldwide success in long time despite the daily onslaught of promotions and publicity. I’m talking about a stand in the line type of hit! The conventional orthodoxy of the motorcycle industry is that H-D’s are styled conservatively. This is typical market research talking. It’s conventional wisdom saying don’t take a risk on design. Just accept safe. A blacked-out bolt here and a new red glitter color there. Independent of this most recent financial report, the issue is that “safe” doesn’t consistently move the needle in terms of sales. If that were true then Hyundai sales wouldn’t be burgeoning or would they be the most feared major car company in the U.S. Do you remember when Hyundai’s used to be a joke? Jay Leno said you could double a Hyundai’s value by filling it up with gas. 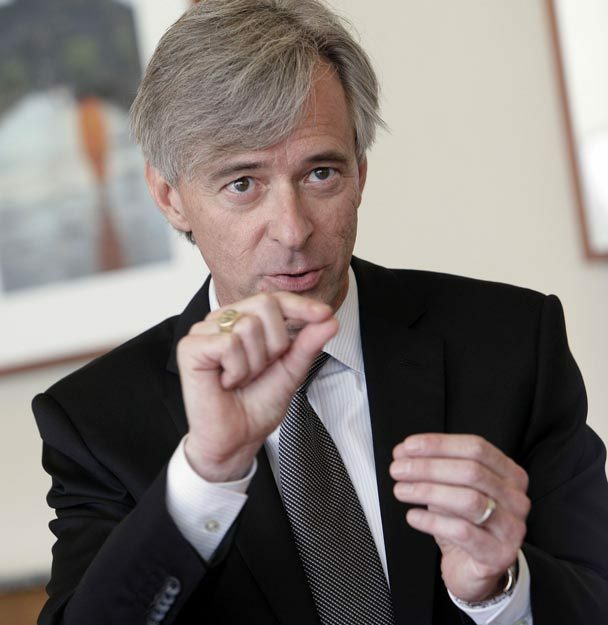 No one’s laughing now as Hyundai’s John Krafcik steered it from joke to contender. It took a risk. 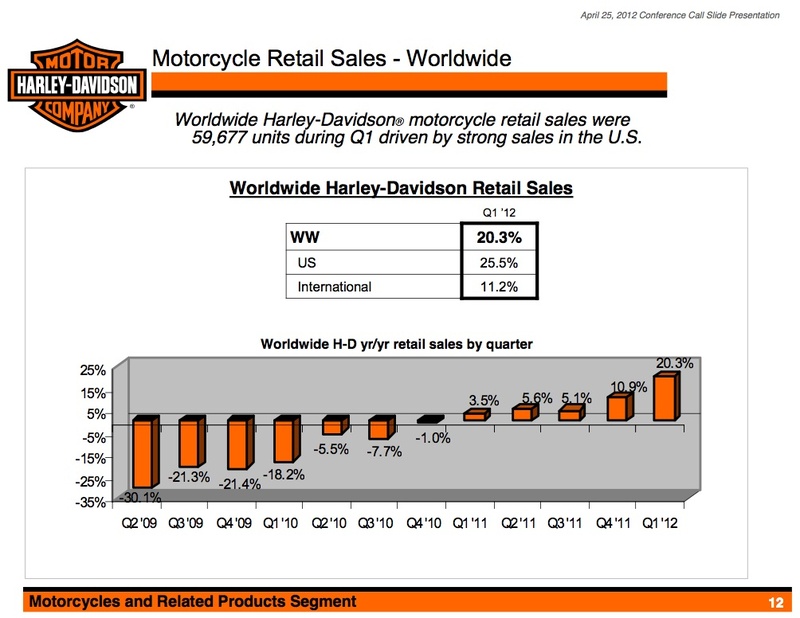 So, when will we see some of that product “risk” that Harley-Davidson refers to in the quarterly financial reports? Or has it all come down to being safe and going after the number of “likes” on social networking sites? Hey, Harley… 1999 called and said they want the true-to-self artistry back! We can smell the hype. We know when you’re working it. What’s sup with all the emphasis on tweeting and hyper-vomiting facebook “fans” over everyone’s networking profiles. It all adds to the dissonant fray of self promotion and it’s hard to hear when everyone is yelling. If you have a hot product, people want it. We know when something impacts us, when we believe it’s great. And when we find something good, we want to get closer, we want to tell everybody we know. You don’t have to tweet, you don’t have to Facebook, you don’t even need a website. But it’s got to be different, it’s got to challenge conventional wisdom, it’s got to appeal to people’s hearts more than their pocket books. Photos courtesy of H-D and Richard Drew/AP.